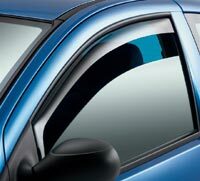 Front window deflector for Chevrolet HHR 5 door models from August 2005 onwards, sold as a pair. SPECIAL ORDER ONLY. DELIVERY 2-3 WEEKS.